For 33 years, Dr Helen Watchirs has dedicated her career and worked unstintingly as a volunteer to improve human rights and end discrimination. 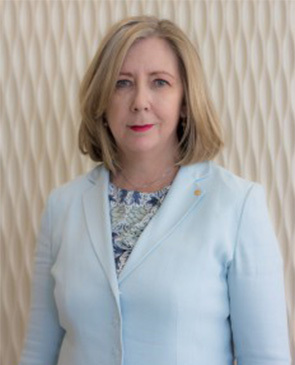 As the ACT Human Rights Commissioner for more than a decade and the Discrimination Commissioner for more than a decade, Helen has supervised the handling of more than 1,000 discrimination, vilification and sexual harassment complaints. The ACT community has benefited from Helen’s diligent advocacy with better anti-terrorism, discrimination, mental health, guardianship, tenancy and criminal legislation. Helen has audited detention centres for human rights abuses, driven debate to increase transparency and accountability of government and pioneered community education projects. An expert on HIV and AIDS issues, her advice has been called on by the United Nations. After suffering the tragic loss of her husband, Supreme Court Judge and former ACT Attorney-General and Health Minister Terry Connolly, Helen took on yet another unpaid role as an advocate for organ and tissue donations. Radiating quiet strength, Helen is driven to ensure Australia’s legal system is compatible with human rights.